She also vowed to seek changes to the Irish backstop from the EU. But she again rejected calls to rule out a “no deal” Brexit – and warned another EU referendum could threaten the UK’s “social cohesion”. Conservative rebels and Labour accused her of being in denial about the scale of opposition to her Brexit deal. 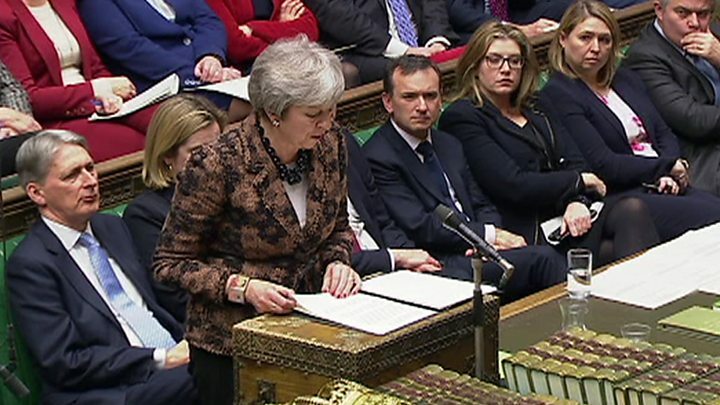 MPs are due to vote on the PM’s modified Brexit deal next Tuesday, after her original plan was defeated last Tuesday by a record-breaking 230 votes in the House of Commons. 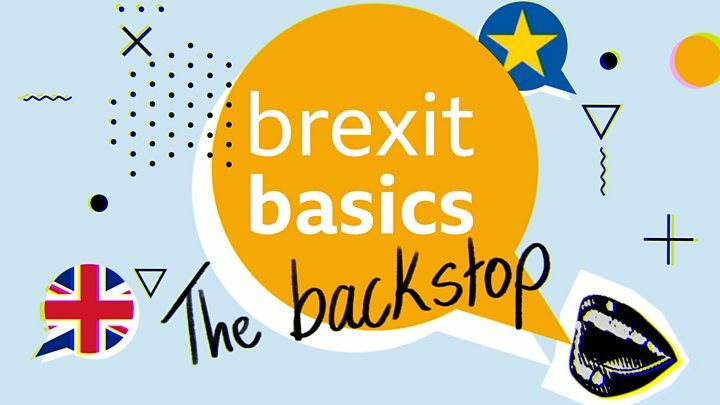 The BBC’s Assistant Political Editor Norman Smith said there was no sign that Mrs May was about to abandon her Brexit deal and, indeed, she believes that with further reassurances on the on the backstop she can win over the DUP and Tory Brexiteers. She offered little new in terms of the substance of her deal in her Commons statement, but pledged to work with her backbench critics to take fresh proposals to Brussels. When will the Brexit fee be scrapped? Millions of EU citizens living in the UK will have to apply for “settled status” to remain in Britain after Brexit. Applicants must have lived in the UK for five years and had been expected to pay a fee of £65 each. “Settled status” gives EU citizens the same access to healthcare and education after Britain leaves the EU. Mrs May told MPs she had listened to the concerns of EU citizens, through their campaign group the 3million, about the fees, and they would be waived when the scheme was launched on 30 March. The government launched a pilot scheme this week for people to apply for leave to remain, through a smartphone app. Mrs May said anyone “who has, or will, apply during the pilot phase” will have their fee reimbursed, with further detail to be announced shortly. What did Mrs May say about another referendum? She told MPs: “Our duty is to implement the decision of the first one. “I fear a second referendum would set a difficult precedent that could have significant implications for how we handle referendums in this country. “Not least, strengthening the hand of those campaigning to break-up our United Kingdom. “It would require an extension of Article 50. We would very likely have to return a new set of MEPs to the European Parliament in May. 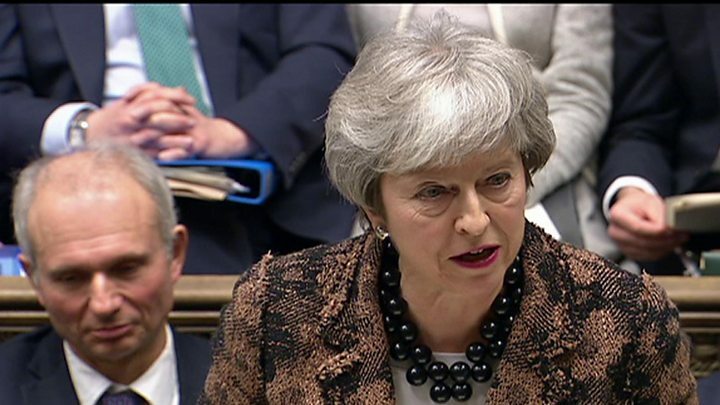 The prime minister said she would have further talks with Northern Ireland’s DUP and others on their concerns about the Irish backstop. She will then “take the conclusions of these discussions back to the EU”. Mrs May was asked by Tory Brexiteers and Northern Ireland’s DUP, who she needs to convince to stand a chance of getting her deal through, to commit to seeking legally binding changes to the section of her EU withdrawal deal dealing with the backstop. She said she was exploring potential “movement” on the backstop that could secure the backing of a majority of MPs, in particular concerns that it could become permanent and threaten the integrity of the United Kingdom. 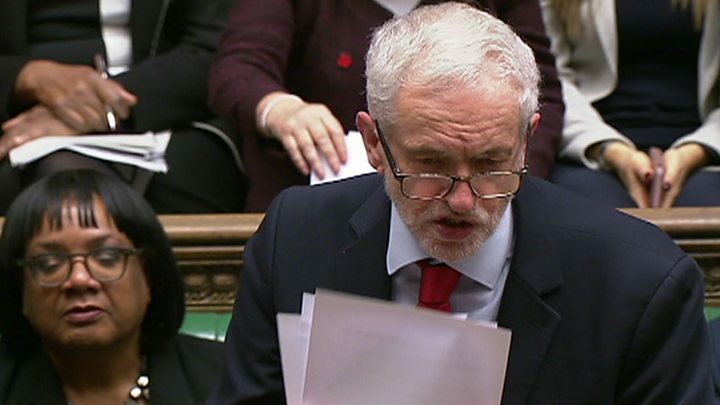 Mr Corbyn accused Mrs May of being in “deep denial” about the scale of opposition to her “undeliverable” deal, which was rejected by 230 votes in a Commons vote last week. He said Labour would back an amendment next week that would rule out the “disaster” of a no-deal Brexit – and he challenged her to confirm that she would do that if MPs voted for it. He rejected her “phoney” offer of cross-party talks to find a way forward. Mr Corbyn wants to force a general election and, having won it, negotiate a deal with Brussels that would see the UK in a permanent customs union with the EU with strong ties to the single market and guaranteed protections for workers rights and environmental standards. If he can’t secure a general election he has not ruled out getting behind calls for another referendum. The prime minister attacked the Labour leader for refusing to take part in talks with her on the way forward. She promised to take a more “flexible, open and inclusive” approach to involving MPs, and the Scottish and Welsh governments, in negotiating a future relationship with the EU – once her Brexit deal has been approved. Labour’s Yvette Cooper, who is part of a cross-party group planning a move to delay Brexit if there is no new deal with Brussels by 26 February, asked why MPs could not be given a greater say now. Mrs May said MPs would be able to table amendments to next Tuesday’s vote, “which may reflect different views”. Conservative rebel Sarah Wollaston, who backs another referendum, tweeted that it was “like last week’s vote never happened”. But this has been a huge issue for many Conservative MPs and the DUP, who have supported Mrs May’s government since the 2017 election. How could MPs take control of Brexit? Mrs May’s government is engaged in a battle with MPs over who controls the Brexit process, after her deal with the EU was defeated by a record-breaking 230 votes last Tuesday. MPs are trying to use various Parliamentary tactics to tell Mrs May what to do – or force through alternatives to her Brexit deal. They can do this by tabling amendments – suggested changes – to a government motion, which is due to be voted on next Tuesday. Or by proposing new laws of their own. One group of MPs, headed by Labour’s Yvette Cooper, with backing from Remainer Conservative MPs, is planning to table a bill that would delay the UK’s planned departure date from the EU if the government is not able to get its deal through by 26 February. Private Members’ Bills – laws proposed by MPs who are not in the government – can be passed but there’s normally only very limited time to debate them. The government usually controls the agenda – what gets debated in Parliament. Some MPs now want to suspend the normal rules to allow time to debate and vote on a bill that would rule out a no-deal Brexit. That might not be enough though. If the bill will involve spending money it also needs a “money resolution”. That has to be proposed by the government. So MPs face another obstacle if they want to take control of the Brexit process.